The definitive guide to trout fishing on the Chattahoochee River. By Steve Hudson. 328 pages, $23.95. Whether you're fishing its headwaters in the north Georgia mountains or the tailwaters near Atlanta, the Chattahoochee River offers world-class trout fishing - and CHATTAHOOCHEE TROUT, our exciting new river guide, will give you all the info you need to experience that fishing yourself! Written for everyone who loves to fish for trout, whether with a fly rod or with spinning gear, this guide is loaded with solid information and practical insights (plus almost 40 detailed maps) to help you get the most from your time on the water. Chris Scalley, founder of River Through Atlanta Guide Service, has called CHATTAHOOCHEE TROUT "a must-have guide for anyone who fishes for trout on the Chattahoochee River." We are confident that you'll find this great new destination guide an indispensable addition to your fishing library. Order your first-edition copy today! Your complete guide to fishing for trout in all five of Georgia's great Delayed Harvest trout streams. By Steve Hudson. 84 pages, $12.95. Here's everything you need to know to enjoy great Delayed Harvest trout fishing in Georgia! Featuring detailed profiles of each of Georgia's five "DH" streams (portions of Amicalola Creek, the Chattahoochee River, the Chattooga River, the Toccoa River, and Smith Creek), this one-of-a-kind guide gives you the inside story on how and where to enjoy Delayed Harvest fishing in Georgia. Whether you're a beginner or a seasoned DH veteran, and whether you are a fly fisher or a spin fisher, you'll find this comprehensive guide to be an invaluable companion on your trips to Georgia's great Delayed Harvest streams! Your complete guide to fly fishing for trout on Georgia's world-class Toccoa River, including the Upper Toccoa, the Delayed Harvest Section, and the Toccoa Tailwater. By Steve Hudson. 88 pages, $12.95. The Toccoa River is fast becoming a favorite "destination" river for fly fishers far and wide, and it's easy to see why. With miles of great trout fishing, including a spectacular stretch of Delayed Harvest water and an incredible tailwater too, it truly offers the potential for a trip that you'll never forfet. We are proud of this great new book! 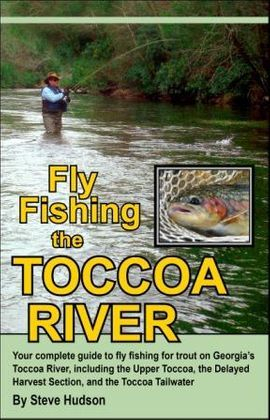 It's a perfect traveling companion and fishing guide for any fly fisher with an interest in the Toccoa River! How to find unspoiled wild trout fishing far from the beaten path. By Steve Hudson. 76 pages, $11.95. 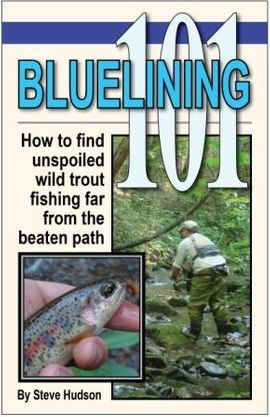 We are very excited about BLUELINING 101, and we're sure it will be just the thing to help you discover just how much fun it can be to look for great trout fishing that few others ever experience! Getting started in the exciting world of saltwater flyfishing. By Steve Hudson. 72 pages, $11.95. 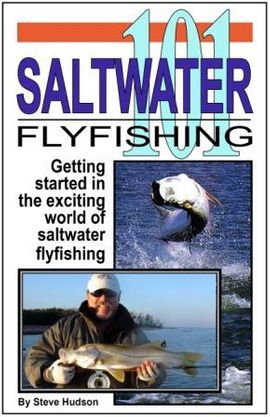 We are pleased to announce the publication of SALTWATER 101: GETTING STARTED IN THE EXCITING WORLD OF SALTWATER FLYFISHING. This dynamic 72-page book joins our other 101-series titles (FLYFISHING 101 and NYMPHING 101) as our latest guide to help you more fully enjoy the exciting world of flyfishing! - How to do the doublehaul cast...the saltwater fly fishers's best friend! We are very excited about this great new book, and we're sure it will be just the thing to help you discover just how much fun the world of saltwater flyfishing can be. "Getting into saltwater flyfishing has never been as easy or as much fun. This is a must-have book for anyone who wants to try flyfishing in saltwater!" Learning how to fish with nymphs, emergers, and other subsurface insect imitations. NYMPHING 101, Second Edition, will help you get started in the exciting world of fishing with nymphs! According to the experts, fish do as much as 90 percent or more of their feeding underwater, and fly fishing with nymphs allows you to get in on the subsurface action. But getting into nymphing can seem intimidating ... until now. NYMPHING 101 demystifies nymph fishing and makes it easy to learn. In this book you'll start by seeing what nymphing is and why it can be so effective. You'll look at subsurface insects and at picking flies to imitate them. You'll see how to select and use split shot and strike indicators, and you'll learn several different ways to rig nymphs and emergers for effective fishing. You'll also learn how to cast a nymphing rig without creating tangles! Finally, you'll find many practical tips on how to fish with nymphs in a variety of different fishing situations. This new Second Edition includes additional material, including a chapter focusing on tackle and techniques for Czech nymphing. 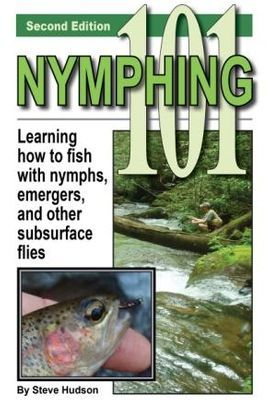 NYMPHING 101 is a clear, concise and affordable guide to nymph fishing too. Check it out and get in on the excitement yourself! "An incredible resource for any fly fisher who wants to learn to fish with nymphs, emergers and other subsurface flies." Getting started in the exciting world of fly fishing. Are you ready to get started in flyfishing? Here's the perfect book to help you do just that - the fun and easy way! Flyfishing is a sport that you can enjoy for a lifetime. But getting into it can be a little intimidating - until now. FLYFISHING 101 is a readable, entertaining, and to-the-point book that demystifies the process of getting started. 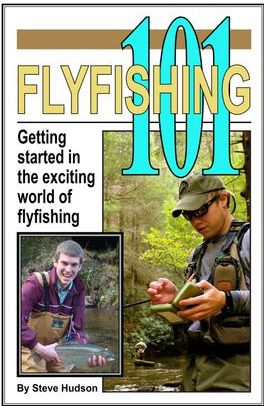 This book helps you every step of the way from selecting your first fly rod to catching your first fish. "This is the book that I used to get started fly fishing. It got me going quickly without burying me under too much detail and gave me exactly what I needed. It's perfect for folks who are getting into fly fishing. It's like having a personal coach right beside you. It's fun to read too!" "A great book for anyone who wants to get into flyfishing. I recommend it strongly and provide it students in the fly fishing classes that I teach." 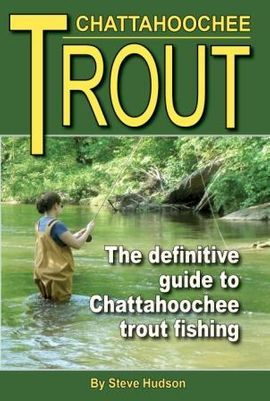 During Georgia's delayed harvest trout season, which runs from Nov. 1-May 14, Atlanta's Chattahoochee River offers several miles of fantastic catch-and-release trout fishing action literally within the shadow of the city's northern suburbs -- and this book will show you how to get in on the action! Packed with useful info on everything from tactics and flies to where to fish and how to access the river, as well as plenty of detailed and up-to-date maps, this info-packed guide gives fly fishers just what they need to know to enjoy the "DH" trout fishing excitement! 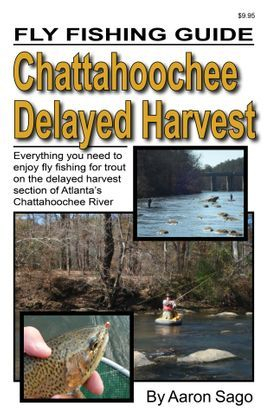 "This book will definitely help you get the most out of your time on the Chattahoochee delayed harvest water. Great info and great insights. This book will help you catch more trout!" 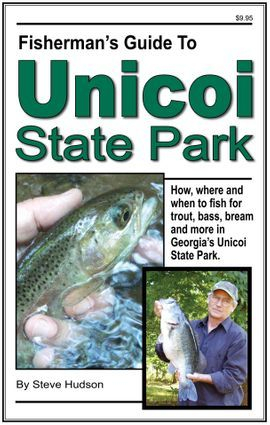 Whether you're fishing for trout, bass or bluegill, northern Georgia's Unicoi State Park near Helen, Ga., is a fantastic fishing destination...and the new Fisherman's Guide to Unicoi State Park will tell you everything you need to know to enjoy that great fishing on your next visit to the area. This lively and highly readable 68-page guidebook provides an in-depth look at the great fishing opportunities that await you in the waters of Unicoi State Park. It gives you the insights and knowledge that you will need to successfully explore not only Smith Creek but also Unicoi Lake. A special chapter covers delayed harvest trout fishing on the delayed harvest stretch of Smith Creek. * Highly detailed maps of each section of Smith Creek and Unicoi Lake. * Suggestions on tackle and techniques. * An in-depth look at the remarkable bass fishing opportunities offered by Unicoi Lake. 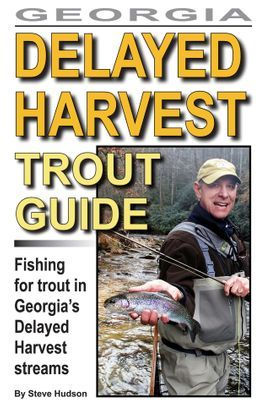 * A special section focusing on delayed harvest trout fishing in Smith Creek. "This guide can save you hours in planning and picking locations for fishing the park. It covers all the bases." Jimmy Jacobs, editor, Georgia Sportsman Magazine and author of "Trout Fishing in North Georgia." "A must-have for anyone who plans to wet a line in Unicoi State Park. Whether you fly fish or use a spinning rod, and whether you're a seasoned veteran or a beginner, this is an outstanding how-to guide!"